Ideal for visitors looking to escape Costa Rica's busy beaches, Uvita offers a serene atmosphere and plenty of uncrowded sand for a leisurely vacation. Swimming and surfing may be the most popular things to do in Uvita, yet the town treats tourists to more than just the typical sun-and-sand experience. The nearby marine reserve provides a chance to spot humpback whales, while the area's waterfalls serve as alternative swimming destinations. A short drive out of this little village you can find other settlements, inhabited by ex-pats from around the world and locals selling organic fruit, vegetables, and honey. Uvita is in Province of Puntarenas. 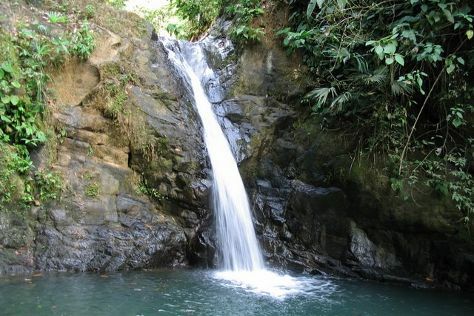 Take stress off the schedule by using our Costa Rica online route planner .